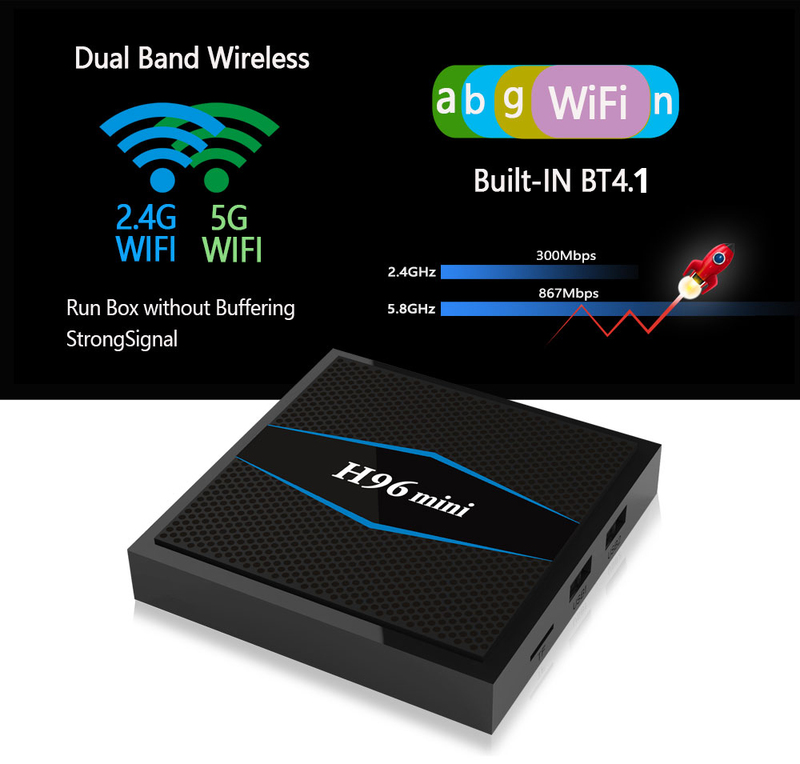 It has been a while since we have seen a TV box in the H96 line, and today we the H96 Mini Android TV box putting an end to the long wait. 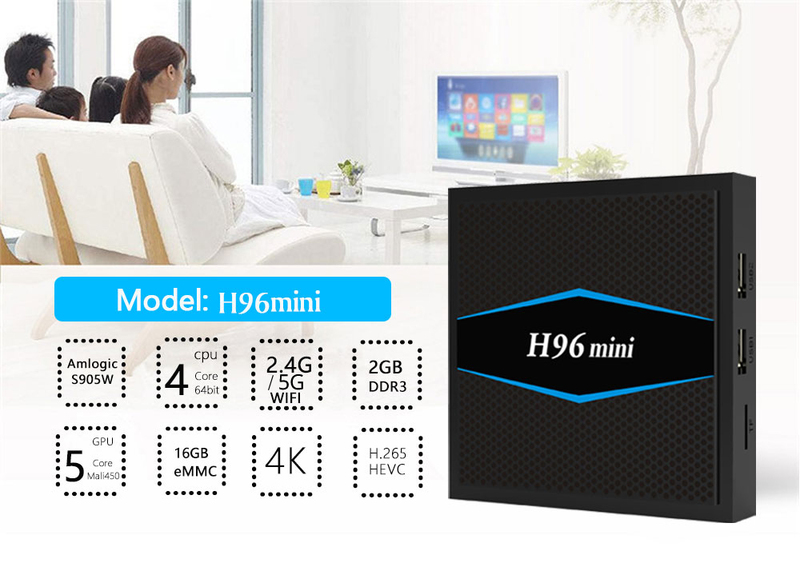 The H96 line of TV boxes is today still one of the best selling line worldwide and H96 mini is here to deliver and maintain their reputation in TV box entertainment. 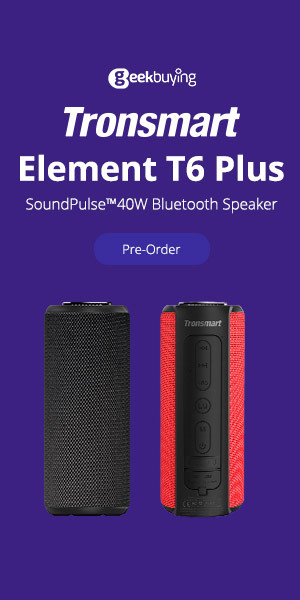 Right now you can get it for $39.99 which is 48% off the original price. 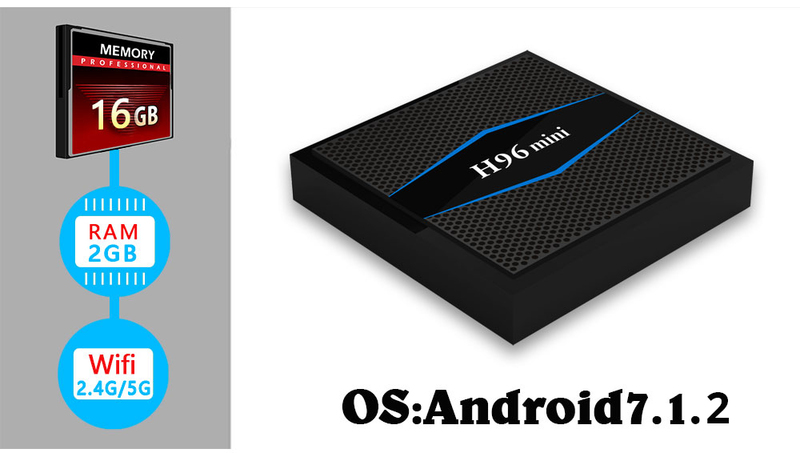 The H96 mini, runs on the Amlogic S905w, Quad core Cortex A53 CPU, running up to 1.5Ghz. The display and graphics is powered by the Penta core Mali 450 GPU, running up to 750Mhz. It comes with 2GB of DDR3 RAM, and 16GB of internal storage. 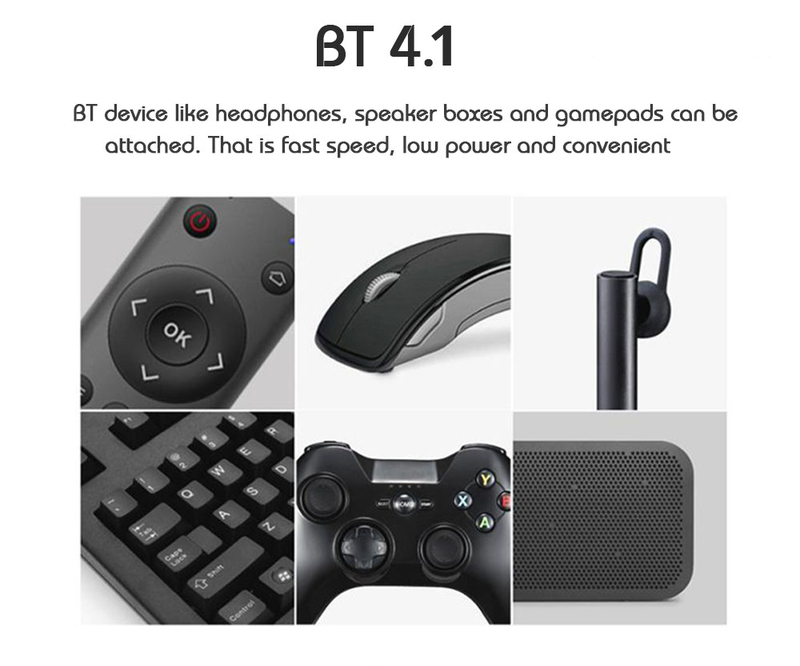 It has dual band 2.4 + 5.8GHz WiFi, and Bluetooth 4.1. The H96 mini runs on Android 7.1.2 Nougat operating system. The the Android OS is rooted allowing you to install any app you want. The launcher is the same launcher used in the H96Pro+ and the H96 Max. The launcher comes with a navigation bar and status bar for easy navigation and multitasking. You have the ability to add shortcuts to the launcher, and it has a one click system cleanup button. In my sample of 4K videos each one of them has a frame rate of 60fps in HEVC encoding in formats of mp4, ts, and mkv formats. 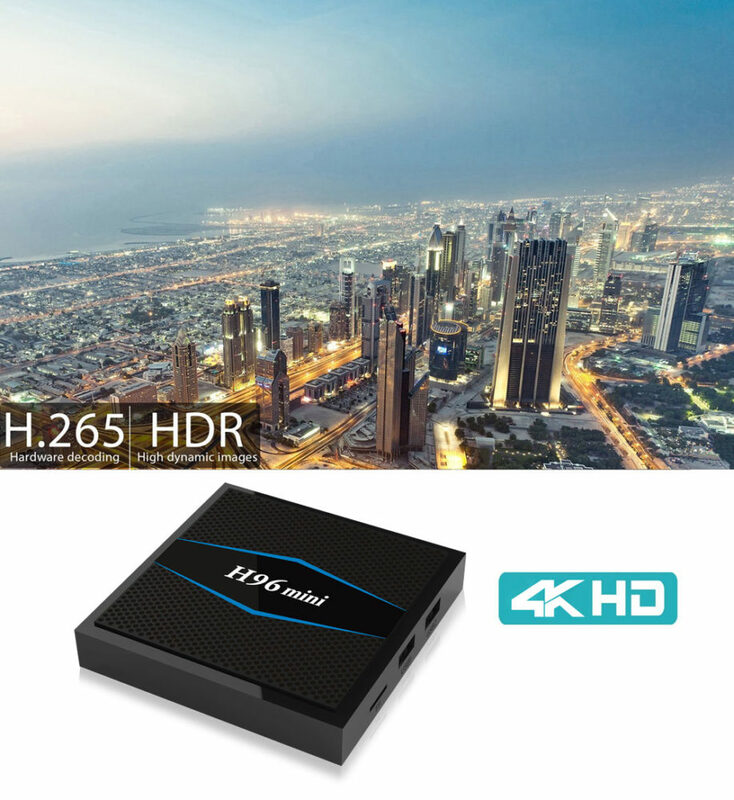 So these formats are on the upper spectrum of 4K video formats if you TV box is of poor quality it would have lot’s of difficulty playing these videos. The H96 Mini was able to play all the videos with out pixelating or freezing and was of a high quality. With the closure of the Terrarium TV application millions of people around the world were left wondering how to streaming free movies and TV shows. 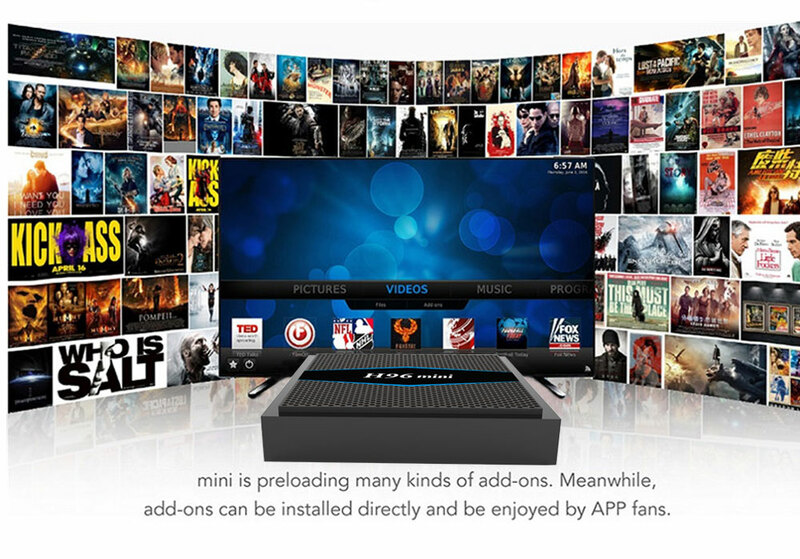 The H96 Mini comes preinstalled with some movie streaming addons. I also installed Kodi, ShowBox, MegaBoxHD, Stremio, TeaTV, TVZion, FilmOn live, and Mobdro. All these apps worked well to stream free movies and TV shows. I would like to say that the H96 mini is a little TV box that packs a punch. What really stood out for me on this box it the ability to play 4K videos, Stream movies online, and it’s 3D gaming. I was really delighted to see that Key-mapping app worked on this box, giving me the option to play any game I want. 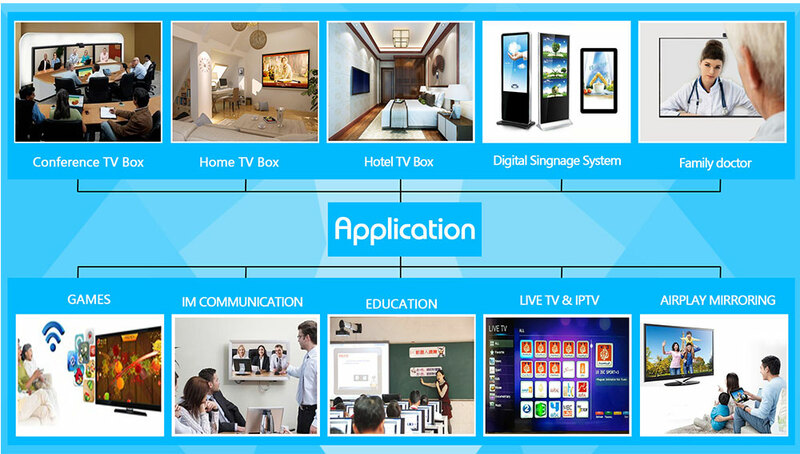 This is a great TV box to buy because it can do things most TV box boxes in its class cannot do.